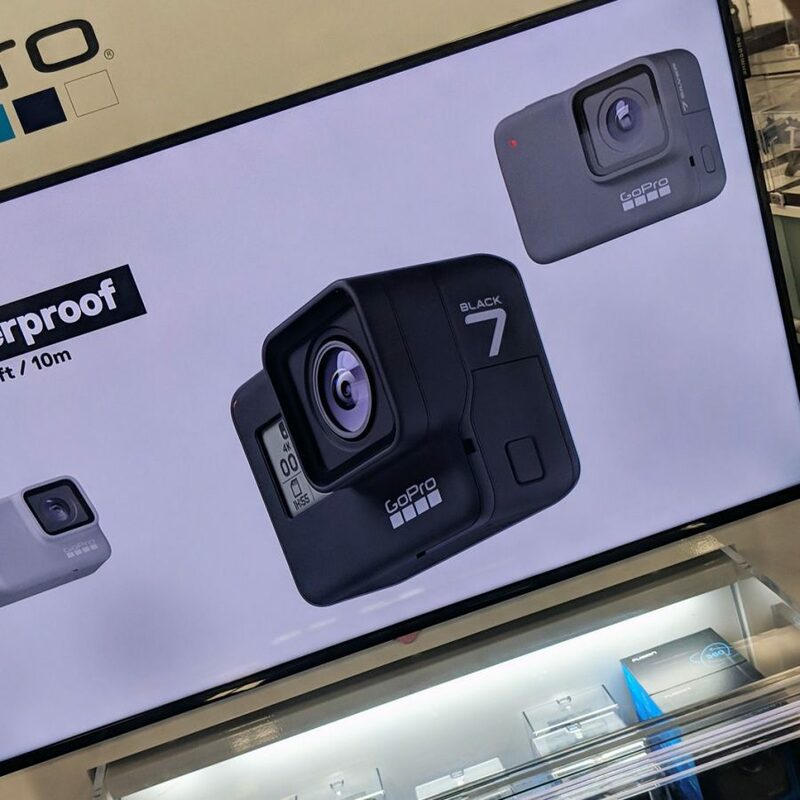 The GoPro Hero 7 camera has been leaked via a store display. 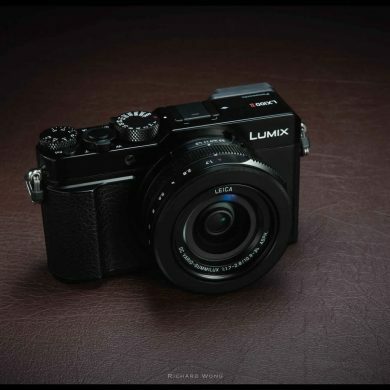 Panasonic Lumix LX100 Mark II: The prodigal son is here! This new camera app by Moment will blow your mind! 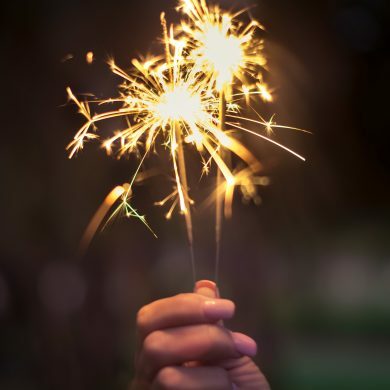 What is Bokeh mode and how does it work? Learn about Shutter speed. Why does it matter? What does it do? Starting Out on Photography? These things might help you.. 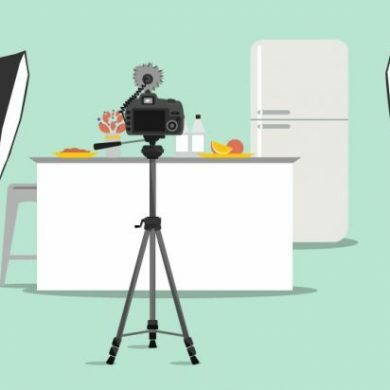 The Best Vlogging Cameras and ‘Vlogging’. Not The Worst Books You May Want To Read About Apple! 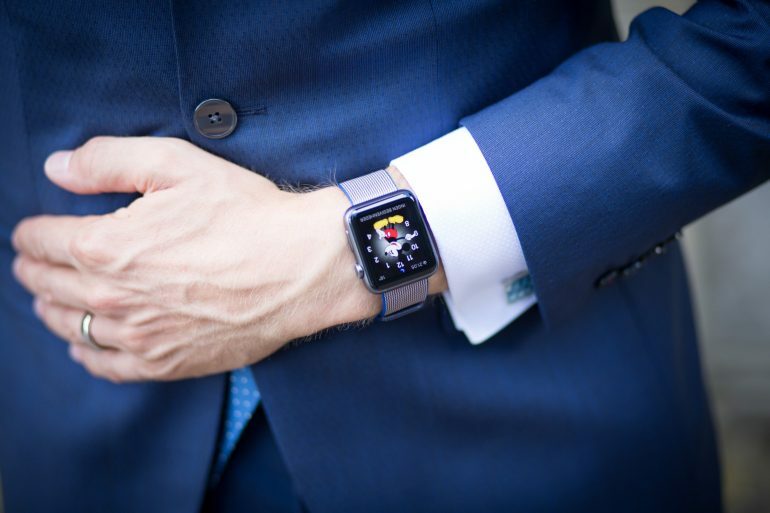 - Try Damaging Apple Cables To Stop Them From Fraying - How to Download WhatsApp on iPad Without Jailbreak - Take this Apple Watch Quiz to find out how much you know about your Apple Watch! 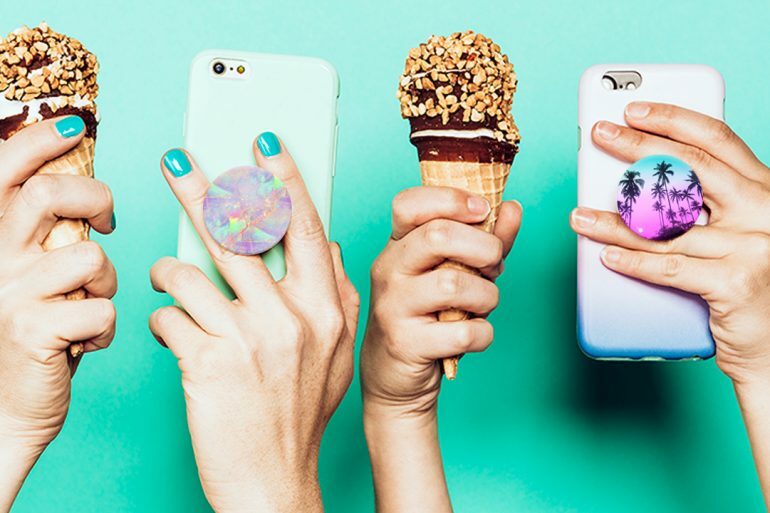 - Customize PopSockets Easily Using These Websites. Thank Me Later! 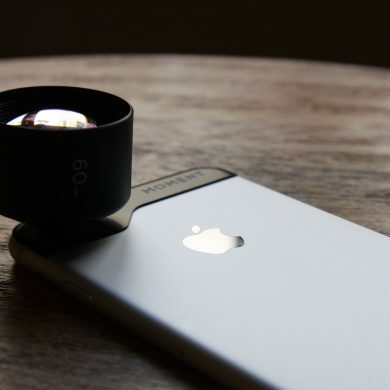 - iPhone camera accessories? Here are top 8 of them you should try! - How to install tweaks on RootlessJB right now on iOS 12. - The BEST Jailbreak tweaks compatible with iOS 9, 10, and 11! - These 88 Essential iPhone Apps make your life fun, productive, and easy! - How to save iPhone's battery life to the extreme. - You can now lock WhatsApp on iPhone. Here's how to do it! - How to make a video your lock screen on iPhone! - Gmail vs the iOS Stock Mail app for iPhone. What should you use? - This $40 alternative to the official iPhone XS battery case is so much better. - How to choose the best iPhone XR color for you - All the iOS 13 Rumors that could turn out to be true - 2019 iPhone renders reveal something new in terms of design! - I switched to Cake browser for a week, and I'm not going back! - The Best Battery Cases for iPhone 7/8 from a guy who loves his iPhone. - Chrome vs Firefox vs Safari vs Edge: Which is the best browser for an iPhone? - You can get the cellular version of the 11-inch 2018 iPad Pro for just $899. But you have to hurry! - How to transfer music from a computer to an iPhone using iTunes. - This is the best tablet you could've got in 2018! - How to download music on your iPhone using iTunes Store. - These are the best Ad-Blockers for iOS. The top 17. 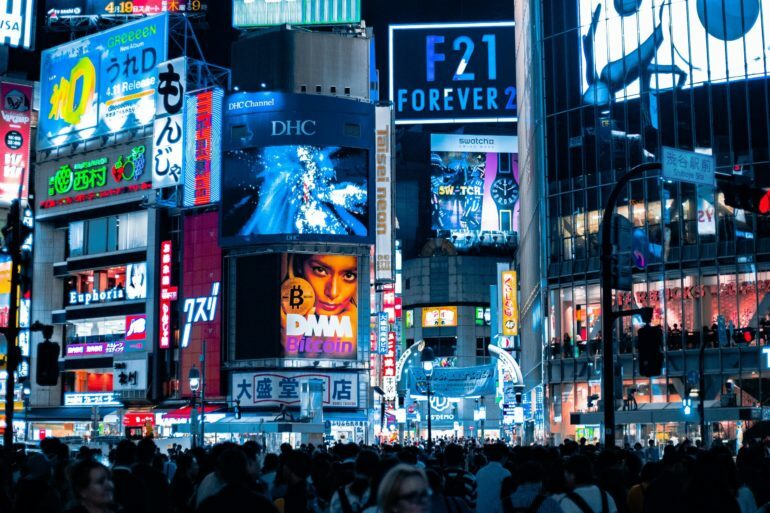 - This is partly a less thought-of reason for declining iPhone sales - Best iOS 11.3.1- 11.4 Cydia jailbreak themes- 2 [Updated] - Why Android is Better than iOS - Why iPhone is better than Android - 10 Tips for iOS 11 that will make your life way easier...... - Things that we miss on iOS 11 coming from iOS 10. - iPhone 8 and iPhone 8 Plus Review: An unattended child. - How to Properly downgrade supported iPhones to iOS 10.3.3 from any iOS 11 version. (Even Beta) - This is what I wish should be packed with iOS 12! - Here's how you will be able to power down your iPhone X... - Top 6 best iOS apps for October 1st Week! - Remembering the iPhone 3GS and Steve Jobs' pure essence. - iPhone Processors are faster than Android Processors. This is why! - An iPhone user switches to an Android device for a week! - Why is iPhone X's FaceID a big deal? - iOS 11.2 Beta 1 has a strange bug! - The best accessories for your brand new iPhone X. - WhatsApp Tricks To Become Tech Savvy. - 4 iPhone X selling points that'll make you buy it for sure! - MacOS to finally get Hey Siri officially! - What's on my iPhone? Episode 1 - How to save your phone's battery life using just your mind? - How to get out of an awkward situation by getting a spoof call on your phone? 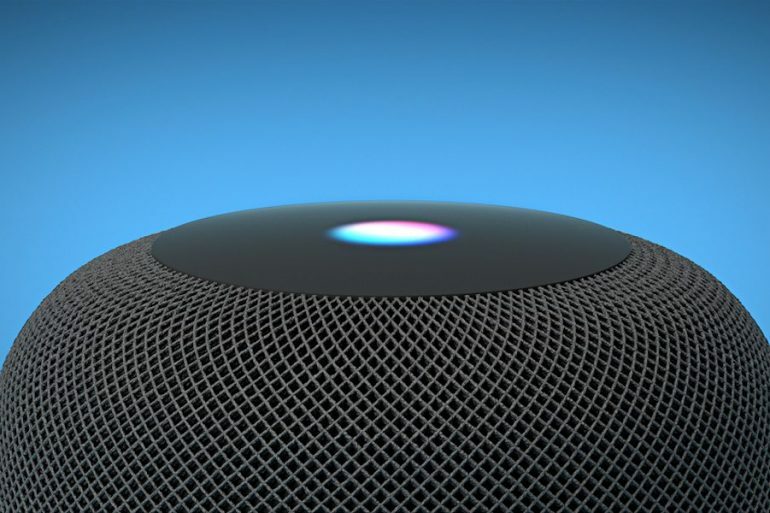 - All 'You' need to know about Apple's new smart speaker: The HomePod - How to downgrade iPhone firmware without using iTunes? Here's how. - How to revert to original settings after modding your iPhone with Houdini on iOS 11? - How to install FilzaEscaped on iOS 11? - How to replace the "No Older Notifications" text with anything you want on iOS 11? - How to replace the “Press Home To Unlock” text with anything you want on iOS 11? - These are the best Cryptocurrency apps for your iPhone and iPad. - MobileMiner: How to install this awesome Cryptocurrency miner? - Top 10 Electra jailbreak tweaks aimed at boosting usability. - Top Electra tweaks to make your device look aesthetically better. - A new 6.1 inch iPhone and the next gen iPhone X and iPhone X Plus: What we know so far! - How to set any sound as a ringtone on an iPhone, the easy way! - Top 10 Electra jailbreak tweaks that're way too much fun! - How to fix the most common issues with your iPhone? 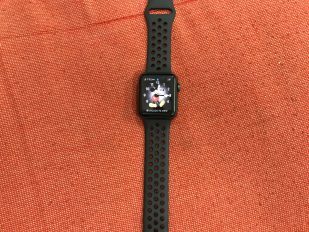 - Apple Watch Series 3 with LTE review: A year and three months later! - I'm not kidding! Here's how you can earn money just by receiving emails. - Electra Jailbreak to get Cydia support - Top 10 Electra jailbreak tweaks aimed at boosting usability: Part 2 - These are the best themes you can install on the Electra jailbreak. 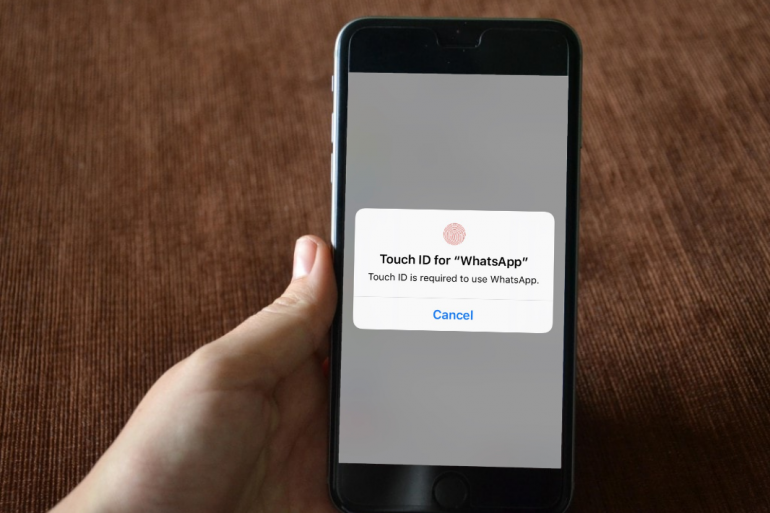 - Take a look at the first screenshots of WhatsApp's 'Peer-to-Peer' payments system - Top 10 Electra jailbreak tweaks that add visual value to your device- Part 2 - What caused the Telugu character to crash your iPhone? - Why do you feel the desire to update to a stable version after spending some time with your jailbreak? - How to turn off annoying app badges on your iPhone, iPad or iPod without a jailbreak. - Here's how the iPhone 7 fares 16 months after its launch! - This app allows you to add the Portrait Lighting- type feature to your iPhone 7 Plus. - Next versions of iOS and macOS to be announced on 4th of June by Apple. - How to reboot an iPhone without a power/home button - Apple dispatches iOS 11.4 with the return of iMessage on iCloud and Airplay 2! - New mid-priced iPhones to be launched in 2018 with the price tags of about $550 - Apple will donate to charity for every old device you turn in to them - New Renders claim the 18W USB-C charger, to be shipped with latest iPhones - You can grab the Shure MV88 Digital Stereo Condenser Microphone for iOS, at $20 off! 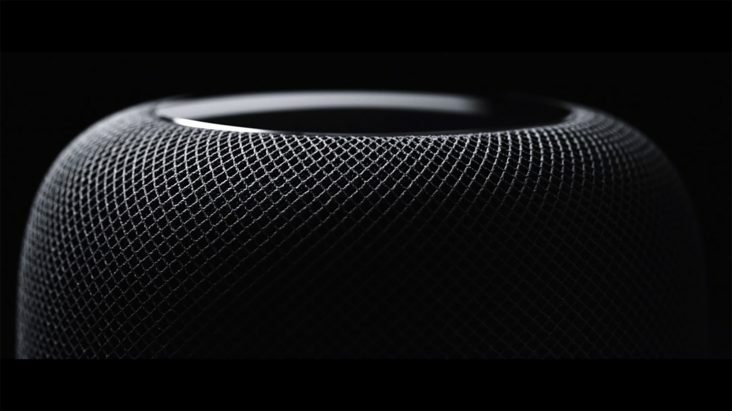 - Why Has HomePod Struggled? And Will A $199 Version Help? - Apple purported to partner with Volkswagen to fulfill its self-driving car dreams - Users report easily cracking iPhone X camera lenses - The Peaks and Valleys of WWDC 2018 - Are iOS 12's Grouped notifications better than that on Android? - iOS 12 In Fantastic Form For First Beta With Some Caveats - iOS 12 Beta reveals larger iPhone X Plus in a leak attributed to the software. - Finally!!! You won't be pestered by iOS 12 Beta 11's update notifications. - Apple is accepting iPhone 8's with a defective logic board for repair - iOS 12 Developer Beta 3- Here's most of the new notable stuff! - Photoshop is supposedly coming to the iPad in 2019, says Adobe - Apple is planning an overhauled strategy for a better stance in India - Check out the best Siri Shortcuts you can get on an iPhone! - These are the only 3 reasons Google's Pixel 3 beats the iPhone XS. 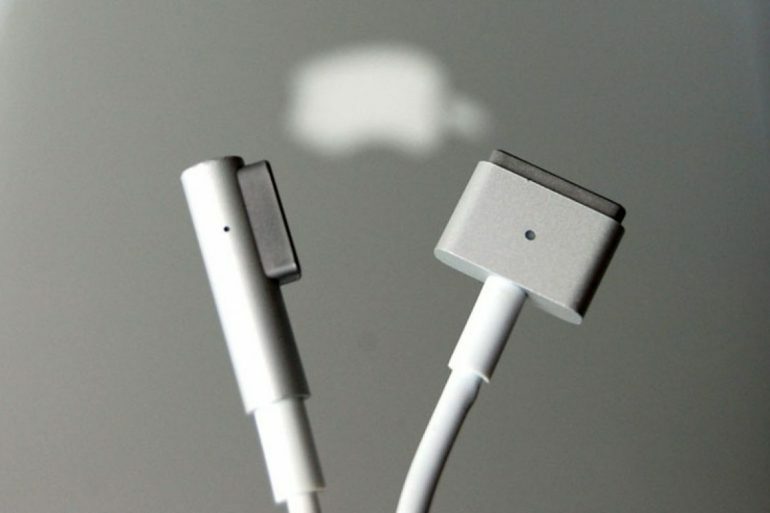 - Obituary: We won't ever forget the MagSafe we loved to trip over... - How to submit your iPhone X for a display replacement in Apple's new repair program? - 9 BASIC Things You Will be Able to Do Offline With the Offline Version of Siri - Got a new Apple Watch? Set it up with these accessories first! - This was the best smartphone of 2018! Take a look... - Want an iPad Pro 2018 case? We've got some wonderful recommendations! - MythBusters Chapter 1- Can a smartphone damage a credit card? - These smart bottles will help you stay hydrated without costing a fortune! - How to delete your social media accounts without the hassle? - These were the best phones of 2018 that shipped with notches. - Huawei announces the Nova 4 with a staggering 48MP camera at the back and a hole-punch 25MP camera at the front! - 2018 Farewell holiday gift guide: The mini version! - Journi App Review: Winning and Failing at the same moment! - We are getting closer to the all-glass smartphone dream! - Raspberry releases Pie 3 Model A+, a cheaper version of its latest PC. - The new Sharp Aquos R2 compact comes with a powerful core and two notches - This is how you can replay a YouTube video automatically! - Amazon seals a deal with Apple to host Apple products directly from the company - Watch Shakespeare help you learn unzip an image posted on Twitter! - HP's Envy X2 detachable laptop is available for $629 for a limited time. - Netgear Orbi Wall-Plug home mesh system at $40 off on Amazon. Get it right now! - These are the best Google Apps alternatives for Android! - How to organize your life better using technology? - Pixel 3 being sold before its launch? Is it pre-event publicity or is it a mistake? 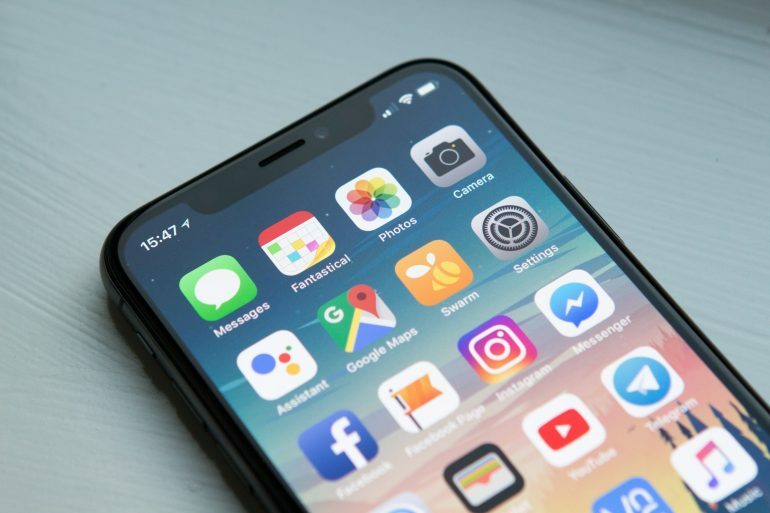 - These are the best apps to magnify your productivity on iPhone and Android - How to enable the new dark mode for file explorer in Windows 10's October update? 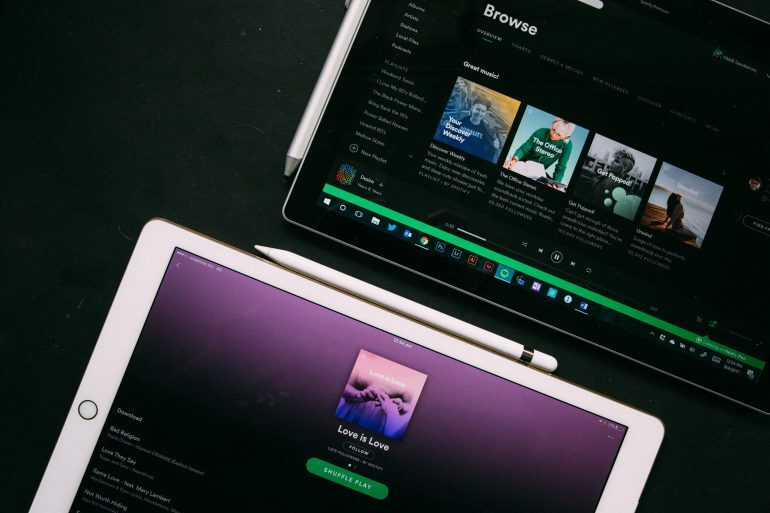 - Spotify sparks a new controversy by adding precautionary changes to its family plan - YouTube on Android is getting the dark mode treatment for real this time - mySpy accidentally exposes millions of private user records - You will now be able to pause YouTube TV memberships. - Uber introduces new safety features for riders in case of a crash. - This is the ultimate back-to-school guide. Everything you'll need! - Alexa has found homes in around 20,000 supported devices now. - The GoPro Hero 7 camera has been leaked via a store display. - Skype exterminates Snapchat-like higlights feature from its latest update - Microsoft has announced the name of the next Windows 10 release - MythBusters Chapter 2- Do computers get damaged when not shut down for a week? - Oppo’s freshly announced F9 has a leaking water drop at the top! - Get these 5 "under $10" accessories with free shipping from Amazon! - Elon Musk changes his decision to take Tesla private. - 2 Million user's data compromised in a T-Mobile hack - Panasonic Lumix LX100 Mark II: The prodigal son is here! - Netflix tests dropping iTunes billing as a method of subscription on iOS. - Samsung launches two new affordable gaming displays. - Huawei fakes its commercial once again, and gets caught! - WhatsApp won’t eat up your Google Drive storage anymore - Coursework Producing, Coursework Creating Service, Coursework Support essay writing service london uk - Hello world! - Understanding The Differences Between Agile and Waterfall Project Management - Learning the Differences Between Agile and Waterfall Project Management - Comprehending the Differences Between Agile and Waterfall Job Management - Learning the Differences Among Agile and Waterfall Project Management - Understanding The Differences Among Agile and Waterfall Task Management - Learning the Differences Between Agile and Waterfall Task Management - Comprehending the Differences Between Agile and Waterfall Project Management - Learning the Differences Among Agile and Waterfall Task Management - Comprehending the Differences Among Agile and Waterfall Task Management - Comprehending the Differences Between Agile and Waterfall Project Management - Comprehending the Differences Among Agile and Waterfall Task Management - Understanding The Differences Between Agile and Waterfall Job Management - Comprehending the Differences Among Agile and Waterfall Project Management - Comprehending the Differences Between Agile and Waterfall Project Management - Comprehending the Differences Among Agile and Waterfall Job Management - Understanding The Differences Among Agile and Waterfall Task Management - Understanding The Differences Between Agile and Waterfall Job Management - Understanding The Differences Between Agile and Waterfall Task Management - Comprehending the Differences Between Agile and Waterfall Task Management - Understanding The Differences Between Agile and Waterfall Job Management - Learning the Differences Among Agile and Waterfall Project Management - Comprehending the Differences Among Agile and Waterfall Job Management - Understanding The Differences Between Agile and Waterfall Task Management - Learning the Differences Between Agile and Waterfall Project Management - Comprehending the Differences Among Agile and Waterfall Task Management - Understanding The Differences Between Agile and Waterfall Task Management - Comprehending the Differences Among Agile and Waterfall Task Management - Learning the Differences Among Agile and Waterfall Job Management - Comprehending the Differences Among Agile and Waterfall Task Management - Learning the Differences Between Agile and Waterfall Project Management - Understanding The Differences Between Agile and Waterfall Task Management - Understanding The Differences Among Agile and Waterfall Task Management - Learning the Differences Between Agile and Waterfall Job Management - Comprehending the Differences Between Agile and Waterfall Task Management - Blackberry’s Key 2 LE leaks once more ahead of the August 30th event. - Original Pixel users to get a fix for the charging issue that came with Android 9 Pie - The world wide web Get an Application Established in your Organization - The Way to Get a strong Practical application Formulated for your Company - Palm's new alleged smartphone oddly impresses the mind with unconventional features - Samsung's launched its Note 9 with a bigger battery, new S Pen, and a updated camera. - How to turn off conversation view in Gmail for Android and iOS? - Android 'Pie' released for Pixel phones today - The best laser printers for office use in 2018: The super guide! - Samsung accidentally leaks Samsung Galaxy Note 9's official launch video - How to find a recently saved contact on iPhone and Android? - 3 ways tech can save your stuff from being stolen or being lost. - Amazon's Jen Salke hints at a probable new phone from the company - How to safeguard a lost phone using the device's IMEI code? - How To Safeguard Your Online Privacy.. - The Trendy Shows on Spectrum Cable TV Set to Premiere in 2018-2019! - This one setting will fix a slow Chrome browser and speed things up a little bit. - Facebook hires chief of chip development at Google for its own chip-making ventures - 2018 MacBook Pro models have a 'thin silicone barrier' under each key - KaiOS. The second most used OS in India after Android. - Sony Experia XA2 Plus announced with focus on multimedia consumption. - This new camera app by Moment will blow your mind! - What does Samsung opening a factory in India mean for the people? - Sydney Airport initiates biometric check-in ventures - Tesla Model 3 gets its own summon feature - Netflix plans to add a new "Ultra" tier to its premium subscription service - What is Bokeh mode and how does it work? - How to enable WhatsApp's new controls for group admins? - Drake stirs the music streaming world with over 170 Million streams on his fifth album "Scorpion." - Which is the fastest flagship phone out there? (Hint: It ends with 6) - OnePlus promises to roll out updates for all it's phones, old and new! - Here's how you can ensure you get a Chicken Dinner in PUBG - Get a $824 Samsung Galaxy S8+ just for $589- a $235 discount! - How To Book Redmi Note 5 Pro Using this Plugin! - Apple cuffed by another lawsuit due to false Apple Watch marketing - The era of mechanical phones is back again, just after we're done with notches - World's Fastest Car (Attempting 500 km/hr!!) - Use Amazon's Map tracker to track your deliveries in real time - There might not be any Essential Phone 2: Here's why - Pokemon Let’s Go Pikachu and Let’s Go Eevee Detailed - OnePlus 6 and the Bullets Wireless: Can they provide all the speed you need? - The Apollo Intensa Emozione is a pizza you wouldn't like to eat; straight out of Italy! - Doctor Who to be streamed on Twitch from 29 May - YouTube Music: Everything you need to know - Google Maps for iOS gets customizable navigation arrows - 10 Unique Apps you should know - You can now mute posts from your friends on Instagram - What's different in Fujifilm's Instax SQ6? - Motorola's Moto Z3 Play is going to be a fancy phone! - A new Spectre-like vulnerability has been acknowledged by Google, Intel and Microsoft - HTC's Website accidentally leaks details about its new flagship smartphone - Take a look a this Tesla Model X being deliberately rolled over, but it won't! - The FAA allows Boeing to construct the 777X with foldable wingtips - Xiaomi Mi 8 to feature an 'in-display' fingerprint sensor. - A popular Chinese website gets banned for mocking a communist hero - Call of Duty Black Ops IIII Moves the Series Forward - Artificial Intelligence - The Future is here - The HTC U12+ will likely be the best Android phone of all times. - Want to use an app instantly but don't have it downloaded, use this feature! - Oculus Go Review: Entry Level VR For The Masses - Smart Valley - A Place Where Dreams and Innovations Converge - Android P Review: It's never too late to understand! - Xiaomi will soon open a new camera department, and you'll love the product - This is the best time to buy Samsung's Gear VR- Get it only for $85 - What doesn’t incognito mode protect against? - Learn something about Google's new Duplex feature today - Facebook's new Page History feature to appear next week - Facebook is no more the most used app now! - These are the Best VR Headsets of 2018 so far! - What changes did Instagram promise at Facebook's F8 conference? - OnePlus 6 set to launch on 17th of May - The all new Gmail: The Peak of Visual Substance - WhatsApp Vs Telegram- Which is the best option for you? - Nokia X6 to have a screen notch too? - The LG G7 ThinQ will let you change the look of the front panel just by using software - Google's all new podcast app- What you didn't know! - The future of Android chat world- Blooming to the core! - SmugMug acquires Flickr, the social photo sharing site - One Plus 6 hinted to be waterproof by OnePlus itself. 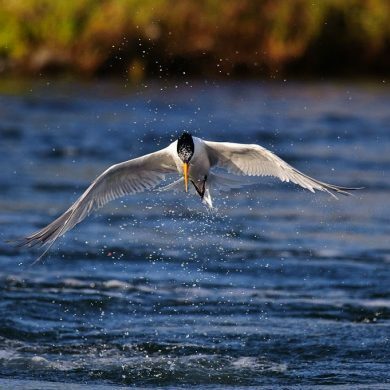 - Learn about Shutter speed. Why does it matter? What does it do? - This Google Chrome extension is a lifeline for torrent users! - The Science behind the Aperture: The opening of the Eye - 6 Reasons you should buy the Huawei P20 Pro against the Samsung Galaxy S9+ - Logan Paul's return to YouTube: Here's what you need to know! - How to use Chrome's in-built cleanup tool to clean your PC - How to perform an internal website search directly from the URL bar on Chrome - Best Electra x Cydia jailbreak tweaks for enhancing usability - 6 tips to build a productive team and lead your business to success - VIVO V9: No, it's not the iPhone X. - Find your lost Android Device: 4 ways Google helps - Details of the Moto E5 Plus leaked: Release date, Price, and specifications. - Google's 'Just A Line' app: A dream come true - Bowmasters is the multiplayer game you've been looking for since ages - Android 8.0 Oreo is now rolling out to users with the Huawei P10 and the P10 Plus - Keyboard shortcuts that even the smartest of programmers don't know - You can now get Mario to be your friend in navigation on Google Maps. - Zayn Malik is working with A.R. Rahman to venture his skills into the world of Bollywood. - Call of Duty: Black Ops 4 to be launched in October 2018 - Android P Developer Preview is here: Here's what's new! - Top 10 Electra jailbreak tweaks aimed at boosting usability- Part 3 - Coinbase Review: Is Coinbase a Safe Way to Buy Cryptocurrency? - The Answer to Apple's iPhone X: Here's the Samsung's Galaxy S9 and the S9 Plus - If you are ready to shred $1000 to gain ultimate durability, CAT's new S61 rugged phone might be for you! - You will finally be able to charge your phone wirelessly using a Laser! 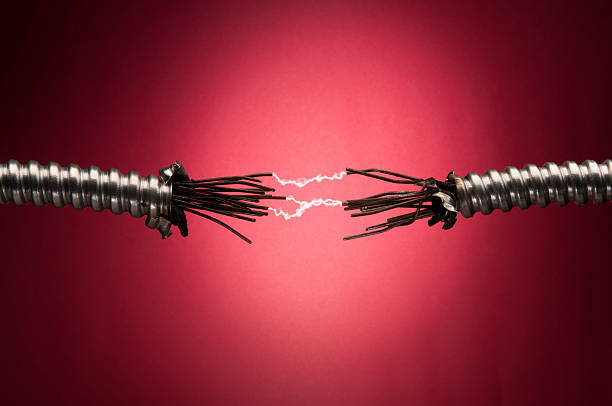 - Overhead headphones vs in-ear headphones: What should you choose? - These are the top 5 laptops that you won't be able to resist buying - Check out this amazing TV from MI set to compete with the LG Wallpaper TV - Microsoft Wireless mouse review: Extreme reliability at its peak - Beware of this new Android malware that mines Monero by hijacking your phone! - You might wanna rejuvenate after a tiring day. Here are the best yoga poses that can help you achieve that! - myMail E-mail app review: Everything has its limits - Samsung begins rolling stable Android Oreo updates to the Samsung Galaxy S8/S8+ in Europe. - 8 Advanced Commands for Command Prompt users that Advanced Users should know: - Mi Mix 2: This time, doing it right! - Oppo and Vivo: What's all the "Mess" about? - Nokia 8 launched in India! - Don't call the Huawei's next flagship a "smartphone"..... - Top 5-best Android photo editing apps!! - New phone from OnePlus coming in 2018 - 6 Reasons Why You Should Root Your Android Device!! - 5 Disadvantages Of Rooting Your Android Device!! - The Pixel 2 and the Pixel XL 2! Do they step upto our expectations? - The all new Google Pixelbook. All you need to know about.. - The Best Vlogging Cameras and 'Vlogging'. - All You need to know about the AMD Ryzen series - Here's how to start coding the right way! - Ola Auto: Can it become the abstinence for Cabs? - What is Android One? Here's what you need to know! - The best apps to look forward to in 2018 - The invasive power of Stories... - The best things from CES 2018 - Instagram adds 'last seen' functionality to its DMs. 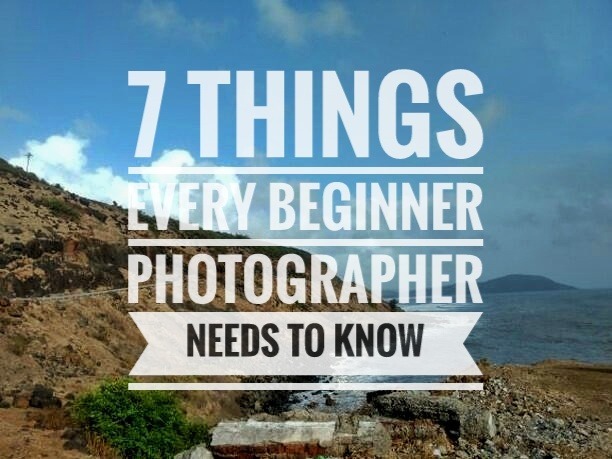 - Starting Out on Photography? These things might help you.. - Good news for Jio customers as cellular giant slashes prices. - What's new with the new DJI Mavic Air drone? Take a look - These are the best bluetooth speakers that you can buy right now. - iOS 11.0.2 released by Apple today, see what's new!